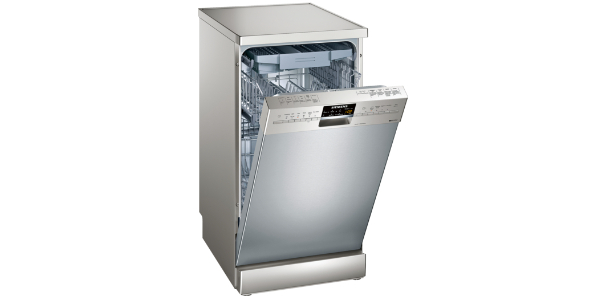 When you’re looking for a new dishwasher there are numerous factors to consider before making a purchase. We cover some of the more general ones such as cost, delivery, manufacturer’s warranty etc in our overview here. Below are a list of some of the other factors you may want to consider (which relate more specifically to dishwashers). To read more just click on the headings below to expand each section. 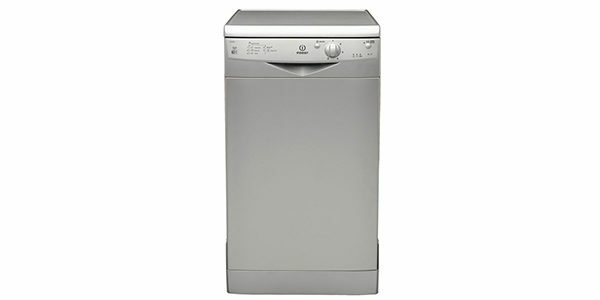 The first thing you’ll need to decide on is what type of dishwasher you want. This will largely depend on the capacity you think you’ll need (see also the next point ‘Capacity’ below) and how much space you have available. 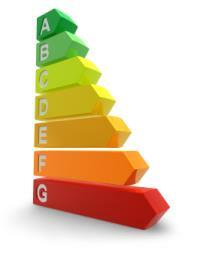 You’ll then need to decide whether you want your appliance to be built into your kitchen units or to be freestanding. 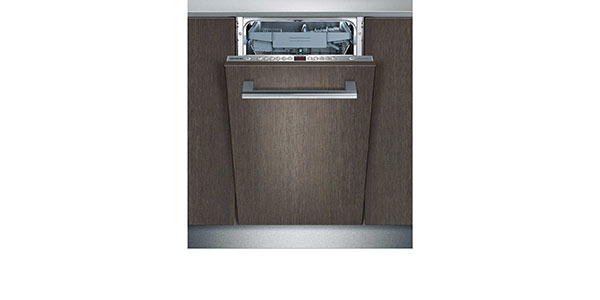 Below are the main dishwasher types and their approximate dimensions (you can click on each one to see our reviews of that particular dishwasher type). Please note, dimensions do vary from machine to machine, although not by a huge amount. 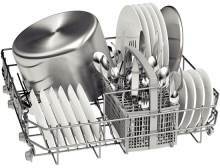 Dishwasher capacity is measured by the amount of ‘place settings’ a machine can hold. Standard sized machines will typically hold 12/13 place settings though some can manage as many as 15. Slimline models will normally hold 9 or 10 place settings. Compact or Table Top models will normally only hold 6 place settings. As general rule, a single person or couple would most likely find a compact model to be adequate although these can be of limited use if you have a lot of pots and pans etc. A couple or a small family should find a slimline model would be more than adequate for their needs (I have 3 kids and get by just fine with a slimline model with some careful stacking). In turn, any larger family should find a standard sized machine to be practical. To find out what makes up a ‘place setting’ please see the video below. Pre-Wash – A pre-wash or pre-rinse cycle rinses the dishes before the main wash begins. This can be great if you tend to stick your plates straight into the machine with leftover food / sauce residue etc still attached (don’t forget to empty the filter regularly though or this could soon become blocked). Main Wash Programme – Pretty much all machines will offer a standard programme for normal daily use. This will ordinarily wash at about 65° and should be just fine for all your needs as long as the items aren’t very heavily soiled or have hard-to-shift residue such as lasagne or pie dishes. Intensive Wash – An intensive cycle washes at about 70° and is designed to tackle the kind of burnt-on food waste that a regular wash just won’t shift. This uses more energy than the main wash so should only be used if it is actually needed. Quick Wash – A quick wash programme is designed to wash a small ‘lightly-soiled’ load quickly, normally in 30-60 minutes. This could be handy if you have guests for dinner and might need to use plates / bowls etc more than once. Eco or Energy Saving – Many models offer an eco programme as an environmentally-friendly alternative to the main wash programme. These programmes use lower temperatures and less water but take longer to complete which is fine if you’re not in a hurry. Delicates / Glassware – Higher end machines often offer a glassware wash which washes at a lower temperature (35-45°) and is designed to minimise any possible harm to delicate items including the ‘clouding’ effect you’ll sometimes notice when your glasses have been through the dishwasher many times. Automatic / Sensor Wash – Some dishwashers offer an automatic programme which can analyse and quantify the amount of waste on your dishes and can then set the temperature and water volume accordingly. Half Load – A half load option can be attractive if you only have a small amount of washing to do but don’t want to wait till you have a full load (as this will use less energy and water). Some machines specify an area of the machine to use whereas other allow you to choose the most convenient area for you. As a general rule dishwashers tend to be pretty easy to use, although obviously some are easier than others. As part of each review we allocate a score for ease of use so this should give you a pretty good indication in each case. As the number of programmes is normally limited to 5 or 6 you’re not confronted with an overwhelming number of options which helps. 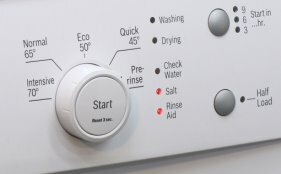 Most models feature a few buttons, or a dial and buttons (like the Bosch model shown opposite), which can be used to select the desired programme and temperature. Chances are you may have to at least glance at the instructions to work out what’s what but some machines are so simple you may not even have to do that. I personally have a Beko and, to be honest, don’t think I ever looked at the instructions – it’s that easy to figure out. If ever we encounter a machine which we, or previous buyers, found to be overly complex or tricky to use we’ll always try to make a point of that in the review as well as reflecting this in the ‘Ease of Use’ score. On the whole though, this isn’t the case. In addition to programming the machine you’ll also need to add salt, and maybe rinse aid, but these procedures are also, generally, very straightforward. As part of each review we post a rating for ‘performance’ to give you an idea of what you can expect from each machine. As we tend to focus our attention on the best-selling and top rated machines on the market the vast majority of these do their job very well indeed. We take into account our personal opinions as well as feedback from previous buyers to reach a verdict as to the results you can expect on an ongoing basis. On the whole you should expect pretty good results from all these machines. Bear in mind, obviously, that you need to use the right programme for the job – it’s no good putting a lasagne tray that looks like the pasta has been fused to it by some kind of nuclear reaction in on a low temperature cycle and expecting it to come out clean. Not regularly emptying the filter (yes, there is a filter, and yes, it does need emptying). Stacking the dishes/pans etc badly so water can’t circulate freely around them. Using poor quality dishwasher tabs/powder. In addition, unless you happen to very good at keeping your dishwasher clean, we recommend periodically using a product like Finish Dishwasher Cleaner (yes, sorry, more stuff that costs money) as it does help to keep results optimal. Every dishwasher is issued with an Energy Efficiency Rating to let you know how efficient, and therefore how eco-friendly, it is. Ratings vary from A+++, A++, A+, A, B, C to D (with A+++ being the most efficient and D the least). The more efficient your dishwasher is, the less energy it will consume, and in turn the lower your electricity bills will be so this is something that is worth paying attention to. To give you an idea of the possible difference, a machine that is rated A+++ will be approximately 30% more efficient than one rated A so that would equate to a 30% saving on the annual running cost of the appliance (not to be sniffed at). It will come as no surprise however that this increased efficiency comes at a price and the most efficient machines on the market do tend to be more expensive. You really just have to weigh up the additional upfront cost of buying a more efficient appliance against the potential savings on the annual running cost of the unit. If you need to pay an extra £100 to get the model you really want, and the likely saving will be £10 a year, it will be 10 years before you break even – which wouldn’t really make sense from a purely financial point of view (but may well do from an ethical viewpoint). If you have an open plan kitchen / living area, or if your kitchen also doubles as a dining room, the noise level of your dishwasher could be a serious concern. It’s no fun trying to watch TV when you have a noisy appliance making a racket just a few feet away. 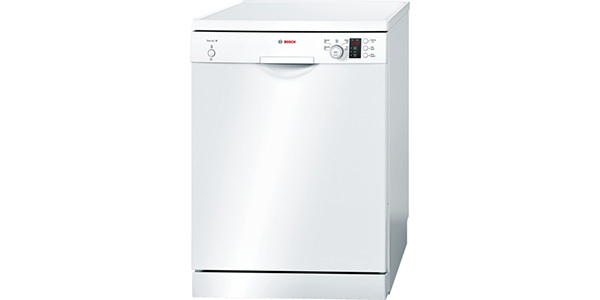 The good news is that dishwashers generally aren’t that loud – not nearly as load as washing machines, for example, as there is no spin cycle. That said, they do still make some noise so if this is an issue for you, it’s well worth checking the noise level of any machine before you buy it. 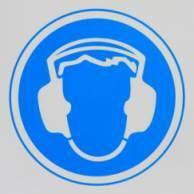 As part of each review we post a rating for ‘Quietness’ which is based on the manufacturer’s stated noise level as well as feedback from buyers as to whether noise is an issue with that particular model. 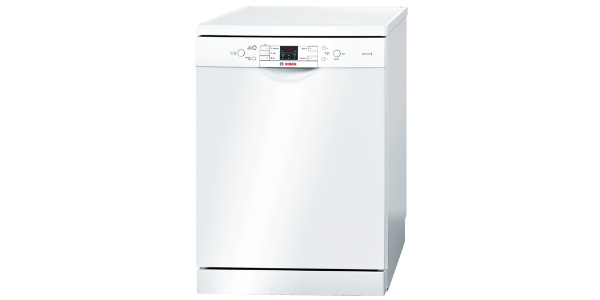 To give you a general idea, the average noise level of a dishwasher is about 58dB which is the level of a normal conversation and should be fine for most living situations. 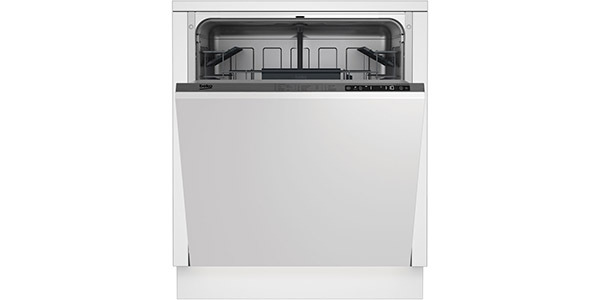 The quietest dishwasher you’re likely to find will probably be a little over 40dB, which is the equivalent of a whisper, so if this is a high priority for you try to seek out models at this kind of level. If you’re buying an integrated dishwasher you probably won’t care too much what it looks like as it will be neatly hidden behind a kitchen fascia panel. If you’re buying a freestanding model however you’ll most likely want to make sure that the unit looks good and will fit with the look of your kitchen. In the past buying appliances was much like buying a card from Henry Ford at the turn of the 20th Century “You can have any colour you like as long as it’s black” or white in the case of appliances! Now however manufacturers have wised up to the fact that people sometimes like colours other than white and you’ll find plenty of black, silver, grey and even stainless steel (like this rather fancy Siemens) models on the market now. 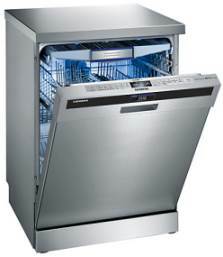 Dishwashers tend to have their controls on either the top edge of the door, like the integrated model shown above, or on the front. With just a couple of clicks you should be able to programme the machine and start it running. Most machines will also have LED indicator lights telling you if you need to top up either the salt or rinse aid reservoirs. Some also have an LED display with a clock timer visible on the front of the machine, like the model shown on the left. This is certainly a feature we would recommend if your budget permits as it can be very handy to know, for example, how long a programme has left to run if you’re waiting to use the clean dishes. Some newer machines also feature touch screen displays which look neat but aren’t really a huge leap forward functionality-wise. When you buy a new dishwasher one feature you really should look out for is racking that is adjustable to allow various different layouts to be achieved. Many machines offer this and it really does come in handy, for example when you have large pots and pans to wash rather than plates, bowls etc. Where adjustable racking is available you’ll often be able to configure the baskets in a variety of ways to allow for these larger items. A removable cutlery basket can also be handy to free up more space. In addition to this you’ll also find many machines offer an ‘adjustable height’ top basket. This is normally a very simple procedure which will allow you, for example, to fit taller items in the bottom basket if necessary. Please see the Bosch video below for a quick demonstration as to how to change the basket height on one of their machines (most other brands are pretty similar). 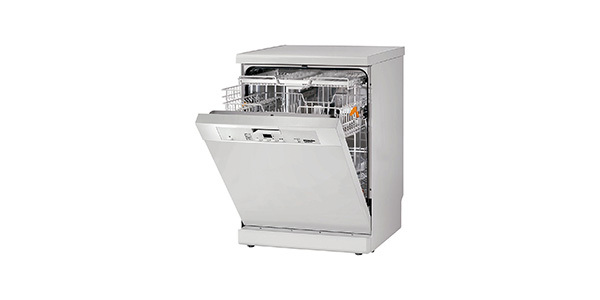 Dishwasher Features Explained – in addition to the above you’ll also want to pay attention to the features of each machine as these can be many and varied. Click here to find out more.